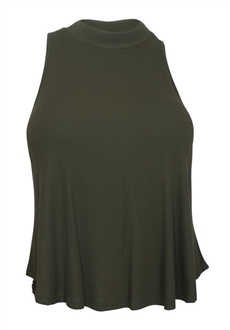 Plus size top features sleeveless design with mock neckline. Lightweight ribbed knit fabric. Peekaboo peephole detail in the back. Available in junior plus size 1XL, 2XL, 3XL.